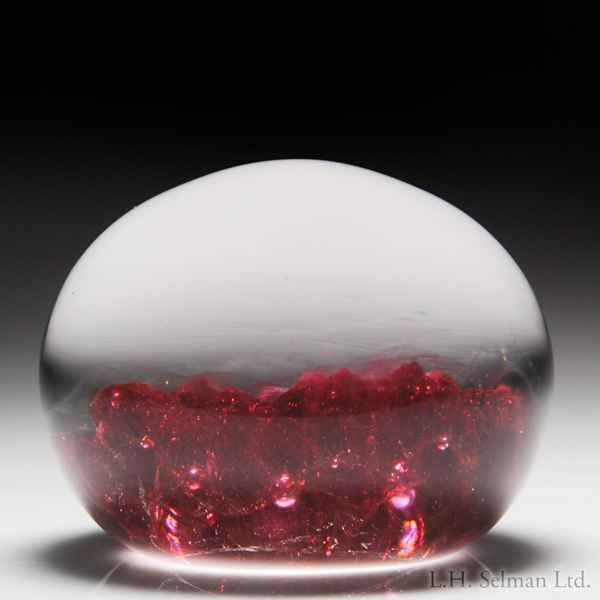 John Degenhart translucent red crimp rose paperweight. A lovely, loose, translucent red crimp rose, its petals darkly rimmed and bleeding to a gentle pink, is embellished with a scattering of spaced bubbles which shine silver through the design. Diameter 2 3/4".